Australia’s only subtropical capital city. Brisbane is the capital of Queensland, the Sunshine State. 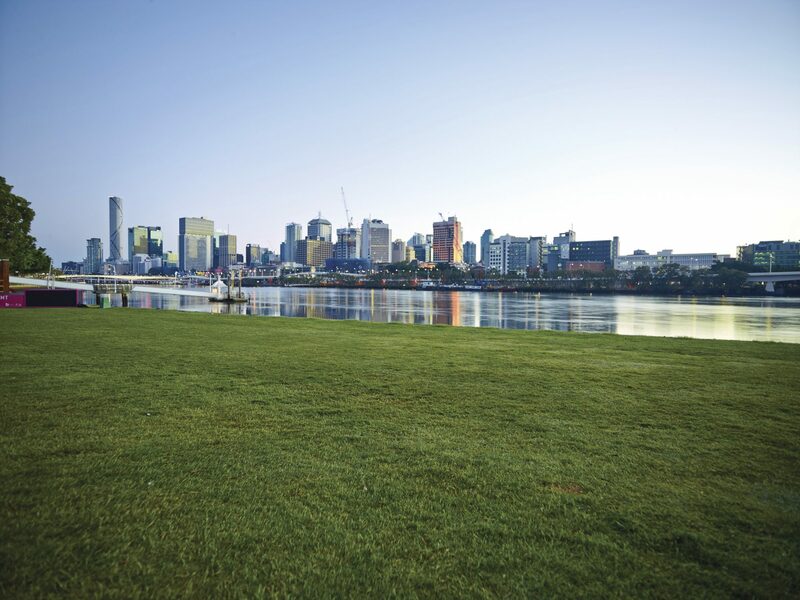 Built around the Brisbane River, Brisbane is vibrant but relaxed, with world-class theatre and restaurants, great shopping & national sporting events. The cultural calendar extends throughout the year with a diverse array of events and festivals including fireworks, jazz and the classics bringing the waterways alive. Overlooking the river and city, South Bank Parklands is a popular venue for alfresco dining at cafés & restaurants, the arts and museum district, plus a large man-made beach and swimming lagoon surrounded by pandanus and coconut trees. The Gabba, located in Woolloongabba South of the city, is a 42,200 seat circular sports venue hosting national and international sporting events and is the home ground of three-time premiers The Brisbane Lions Australian Football Club (Aussie Rules), the Queensland Cricket Association, Queensland Cricketers’ Club and the Queensland Bulls National Cricket team. Brisbane has a spectacular aquatic playground, a 1,000 square kilometre body of sheltered water called Moreton Bay, home to 155 islands. For boating, fishing and water sport enthusiasts, Moreton Bay has plenty on offer, cruising in a yacht around pretty Horseshoe Bay with its clear blue waters is a popular choice with boaties, while catching a ferry over to Stradbroke Island for surfing and fishing, or hand-feeding wild dolphins at Tangalooma Wild Dolphin Resort. Moreton Bay is a bird habitat and also known for its marine life – turtles, dugongs, dolphins and migrating whales during Spring. The islands themselves are havens for wildlife including kangaroos, possums and goannas. Whether it’s a long lunch beside the Brisbane River, delectable yum cha in Chinatown or sampling Gympie goats cheese at Brisbane Farmers Market, you’re assured of the freshest produce and attentive service to match the great weather and laid-back lifestyle.